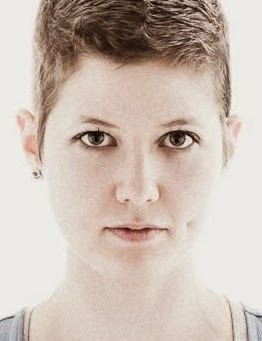 Today we have a guest post by Andi Singer, who works with the folks over at ihmonline. She is way more of a badass than Crabby, and describes herself as: "a fitness and nutrition blogger and athlete based in the Boise area. She can deadlift 265lbs, run 5 miles, do the splits in all three directions, and kick a grown man through the wall." Her nutritional advice is therefore more interesting than mine is, as I have no need to propel humans through walls--I find it much easier to bore them to death. And some might even find some of Andi's suggestions controversial... which is not a bad thing! Cranky Fitness is a great place for spirited discussion of divergent nutritional theories 'cause unlike participants at other forums, Cranketeers tend to be polite and respectful when expressing themselves. As athletes and fitness-y people, we all know that we need protein. Building blocks for muscle, more energy, blah blah blah. The actual amount of protein needed is widely debated, ranging from about 40% of your body weight in grams, to 200% of your body weight in grams. One protein calculator tells me I need 84g of protein, while another nutritional calculator wants me to get 225g. As a powerlifter and competitive fighter, I try to aim for around 100% of my body weight in grams (so 150g or so.) The real question is, how does one actually get that much protein-- especially on a $30 a week budget? Animal proteins contain all of the amino acids that our bodies don’t naturally produce, and they are absorbed at a higher rate than plant-derived proteins. Beef and most pork is out of my price range, but chicken, eggs, and dairy products like Greek yogurt and cottage cheese are high in protein and relatively inexpensive. Still, it can be difficult to eat enough meat and dairy to meet your daily protein needs. I am not a huge fan of most meats, so in a normal meal (like a pasta dish), I will have about 4oz of chicken and a couple of eggs. 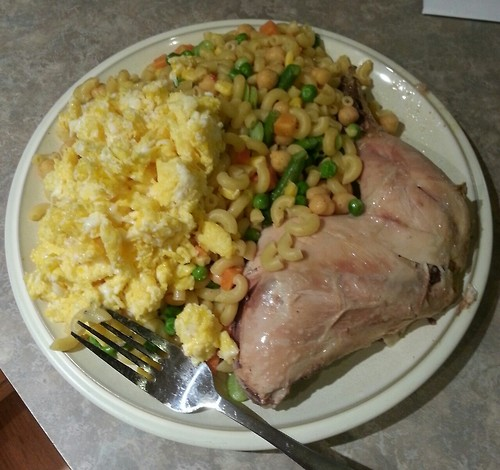 An entire chicken quarter, 5 eggs, and 2c pasta with mixed frozen veggies. Veggies and Legumes Count as Protein! The worst nutritional advice I ever received was to discount plant-based proteins (I was a lacto-ovo vegetarian at the time, so it put me in a bit of a panic!) Most foods have at least a little bit of protein, including fruits and vegetables. They do not contain all of the amino acids we need, and they are less readily absorbed, but they are proteins nonetheless and can help you reach your nutritional needs. In all honesty, at this point in my life I don’t eat a ton of vegetables. I prioritize it last in my food budget, so I usually wind up with a couple of bags of frozen veggies, a zucchini, and maybe a couple of onions. I go for peas a lot because they are extremely high in protein as far as vegetables go. Technically they are in the legume family, but they are also higher in protein than most beans and lentils. If you are a vegetarian or vegan, dried or fresh peas are a great way to get a lot of protein, and they can be used as a vegetable fresh, or as a traditional legume dried. 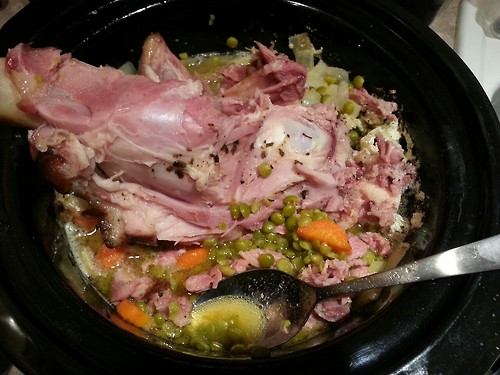 Crock pot split pea soup with ham bone. I normally use 1½ scoops of whey protein powder every day, getting me about 45g of protein. Protein powder and nutritional bars can be a good supplement if you have trouble reaching your goals, but it should not be your main source of protein. It’s important to remember that most protein shakes and bars are highly processed, and to treat them accordingly. For my post-workout meal every morning I eat ¾ cups of oats, 1½ scoops of protein powder, and about 1 tbs of carob chips. I get my fast and slow-burning carbs as well as a hefty dose of protein. However protein powder, pasta, and tortillas are basically the only processed foods that I eat. I try to keep about 80% of my foods single-ingredient, and so I fit the protein powder into the other 20%. Nutritional bars can also be a great way to supplement protein, or a good alternative to fast food when you don’t have time to cook. If I am stuck between errands I will stop by the grocery store and pick up a piece of fruit and a protein bar which will hold me over for an extra hour or two. You can also purchase bars in bulk or in some grocery stores to carry around in your purse or backpack (I’m a grown woman who carries a backpack, okay??) should the need for a healthy, high-protein snack arise. Talking to a dietitian is a great way to learn about your nutritional needs, but you can also do research online for yourself and make an informed decision based on your goals and activities. Half of the battle is figuring out how much protein you need, and the other half is figuring out how the heck to get it. How do you guys approach protein and getting "enough?" Well how about that. I didn't know that meat protein is absorbed at higher rate opposed to plant-based. I do supplement with NOW Foods protein power each day, getting in about 30g mixed with water. I find that if I try to meet all my protein requirements through food alone, I get way too full, so I'm all about that protein powder way of life. Thanks for the great info in this post! Wow - I had no idea that we needed that much protein - makes me happy though!! I tend to get most of my protein through meats - we have some type of meat every day!!! I'm awful about tracking what I eat so I have no idea how many grams I eat. You made me feel better with the veggies - I buy some fresh fruits and veggies but I don't tend to buy a lot because I hate to waste stuff and it happens sometimes with the fresh stuff. Thanks for the comments! The amount of protein actually NEEDED is so highly debatable that I would generally just advise people to try different ranges out and see what results they get-- are you able to build muscle/strength? Do you have energy throughout the day? Ideally we should get all of our daily nutrients through whole foods, but that can be super hard especially for athletes, so protein powders and bars can make it a whole lot easier to meet nutritional goals. I try to eat more protein but it's hard on a really tight budget and I don't like beans. But it always works better for me in my fitness/weight loss journey to eat more protein, If I eat eggs for breakfast I won't be hungry for hours and hours whereas if I eat cereal or an english muffin I'm famished an hour later. Protein/fat definitely satiate's the hunger. I agree with the eggs versus cereal thing. I definitely try to include some sort of protein in my meals because it really makes them longer lasting. One trick for getting all of the amino acids, of course, is the one favored here in south Louisiana, paring the beans, peas, or legumes with rice or another grain. Of course, around here, it's also usually cooked with a lot of sausage and ham, but it doesn't have to be. Hey, this post is so relevant to my interests I squee'd when I saw it! My daily game of Nutrient Tetris™ (okay not really ™) revolves around protein, then fat, then carbs. I had a lot of difficulty at first getting to my preferred number, but it's been worth it in terms of progress and feeling good. Now it's just second nature. Since I'm not sure enough of body fat percentage to calculate lean body mass for the right protein goal, I just try to hit over 100 grams per day. So far, so good. My approach? Greek yogurt, eggs, string cheese, peanut butter, beef jerky, some type of meat with dinner, and almond milk with really good protein powder that tastes like milk duds. We probably eat more chicken for dinner now than anything else, but we still like it. I feel like getting my protein dialed in while sticking to a calorie deficit has helped my fitness tremendously. What is this magical Milk Dud protein powder?? I just go with the Walmart Body Fortress (or whatever it is) ONLY in Cookies n Cream (the chocolate tastes like nesquick and crushed vitamins). I definitely love string cheese as a snack, or peanut butter and anything. Good luck with your goals, it sounds like you have a good idea of where you should be nutritionally! It is Optimum Nutrition 100% Whey Gold Standard, Caramel Toffee Fudge flavor. It is the bee's knees, for true and for serious. Plus the protein to carb to calorie ratio is really good for my goals, so extra bonus! You are so right about the Body Fortress. I started with the vanilla and then the chocolate, and they get kinda blergh after a while. I get a crapload of protein but also a TON of vegetables, and I know the gospel of vegetables is so pervasive in the health blogging world that I thought, Andi, that people would might you a hard time about the relative lack of greenery in the photos. But maybe the Vegans and other Veggiephiles just haven't shown up yet? I try go with a combo of Virtuous Whole Foods but also Cheaty Yummy Fake foods. I get my protein mainly from salmon, chicken, egg beaters (the junky yellow kind, not the purer but hideous white kind), an addictive brand of protein bar I won't mention because they ain't paying me but it rhymes with Breast, and goat-based dairy which I find easier to digest than cow stuff. But I eat red meat too sometimes, though usually try to go grassfed and not cured or processed. I am now envisioning a Breast Protein Bar. Probably contain's mother's milk. I can't decide if that's funny or if I'm mental. Not getting enough protein is not my problem. I try to have a vegetarian meal at for dinner at least once/week! I have an whole wheat English muffin with peanut butter for breakfast and a meat at lunch and dinner. Usually chicken. I'm trying to add in more fruits and veggies. Who knew! Oh goodie, something new to fret over. I tend to feel that as a society, we eat too much protein. 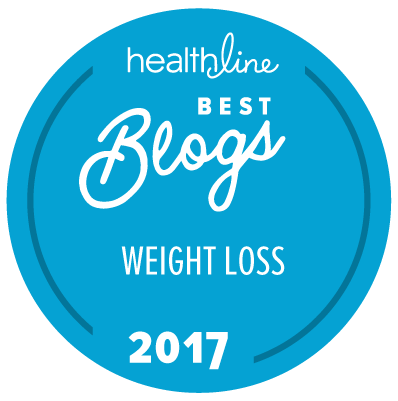 Thanks for the guest post, Andi! I am a big fan of protein and get it via meat, eggs, fish, and protein powder. Wow, that first protein calculator tends low! It wants me to eat three ounces of protein a day? I can easily eat eight or ten ounces of meat at one meal without feeling full. I think you might be misunderstanding it. It's grams of protein period. For example, a 4 oz chicken breast is a little over 113 grams, but it only has about 26 g protein. 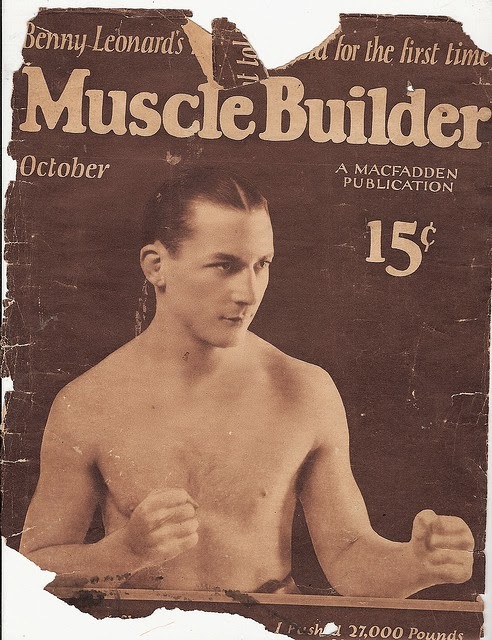 I've read in various places that one needs between 0.7-0.9 g protein per pound bodyweight; that's protein grams not protein-food grams and that body-builders need more. And ya gotta know that I love me some protein powder in a smoothie in the morning with some strawberries, chocolate almond milk, chia seeds, and coconut oil. LOVE THEM! One question I have though is about protein powder. What ARE the benefits, differences, uses of the various protein powders? There seems to be so many kinds! Me, myself - I stick with 100% whey. Another thing to learn about I suppose. Oh - I'm a grown woman with a backpack too! Hurrah, I'm not the only backpacker! With protein powder there is definitely a difference between quality and type. Some are designed to help you GAIN weight, while others are simply to add in more protein with a low to moderate amount of calories. Some have creatine and other supplements added in as well. Generally the fewer ingredients the better, but since whey protein can be hard to digest, many come with digestive enzymes as well for better absorption. To reach my protein intake on a budget, I usually choose chicken or liver which is a cheap protein source here in South Africa. Other sources are more expensive. I eat a great deal of protein, especially red meat, and I eat an egg or so every day. I also have fish and chicken, but I'm a committed beefer. I feel better when I have plenty of protein. One of the best things we ever did was get 4 chickens for the house. Fresh eggs all year round. Natures protein! I am not a big protein eater, and I get all the protein I need from the fruits, vegetables, nuts. and legumes I eat. I eat a well balanced plant based diet and I get all the amino acids I need. In general we eat way more protein than we need and can process, unless you are a body builder.